10 Dishes To NOT Include In Your Wedding Menu! No matter how much one spends on weddings, you know what people (including yourself) would remember about someone’s big day? The food! It’s human nature – you can’t change it. And when it is about your wedding, with the kind of options caterers offer these days (the tasting menu being the best part, of course), you are bound to be spoilt for choice. An elaborate spread at the shaadi is good but you may want to plan it well keeping practical and logistic issues in mind. 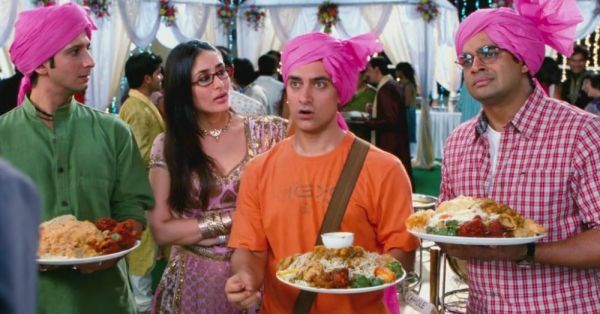 Here are 10 foods not to serve at a wedding. It’s one of the trickiest dishes on the menu and the most smelly one too. Fish can be expensive, difficult to store and when prepared in large quantities, chances of contamination of the meat are high. It is best to avoid this one on the shaadi day. Unless it’s a live counter – skip it. The pasta tends to get tough and difficult to eat after a while and it can begin to taste bad too. Best not to have your guests trying hard to chew that penne, right? Sounds yum but it can be really difficult and messy to eat. Also, the chances of the bread turning soggy or too hard to bite in makes it not-so-appetising a dish. Even the best of us who go on a diet take an off or have a cheat day when attending a wedding, so your assortment of salads will find very little takers. After all, shaadi ka khaana is all about delicious, fried food and gravies! Speaking of gravies, the coconut-based ones don’t work too well if left unattended for long. They’d need constant reheating and that may change the taste of the dish. They have a shelf-life of just 30-40 minutes and need to be replaced constantly. Reheating them is not a great plan! Opt for grilled dishes instead - tikkas of different kinds are a hot favourite at weddings! When hot, they are dosed in oil, and when cold, they smell of oil. Not a good idea for your wedding guests, ladies. These healthy fungi are not everyone’s favourite. Besides some of your guests might be allergic to them. It’s best if you give these lovelies a miss. Also read: 7 Things To Keep In Mind When Planning Your Wedding Menu!